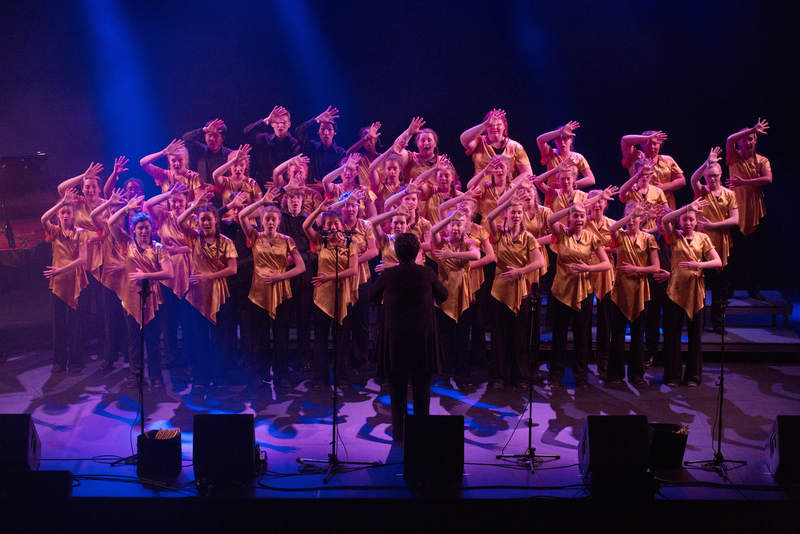 Today's blog post is the last interview preview of performing choirs for PODIUM ON THE EDGE taking place from June 28 - July 3, 2018 in St. John's NL! 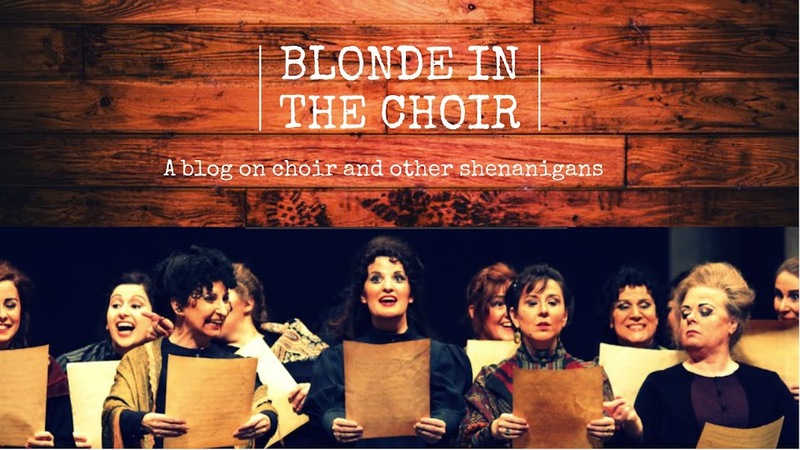 Check out my previous blog posts with The University of Redlands Chapel Singers,Toronto Children's Chorus, Les Petits Chanteurs du Mont-Royal, Capital Chamber Choir, The Oakville Choir for Children & Youth, Elektra Women's Choir, That Choir, Aurora Women's Choir, Sirens Choir, Ensemble Laude, Chronos Vocal Ensemble , La Rose Des Vents, and Anchormen Barbershop Chorus! Since its beginning over 40 years ago, the Hamilton Children’s Choir has provided choral training and music education to countless children and youth in the Hamilton area. In 1975, the Choir was founded after a discussion between Donald Kendrick, the organist at Christ’s Church Cathedral and Joe Fricker, the Dean of the Cathedral. 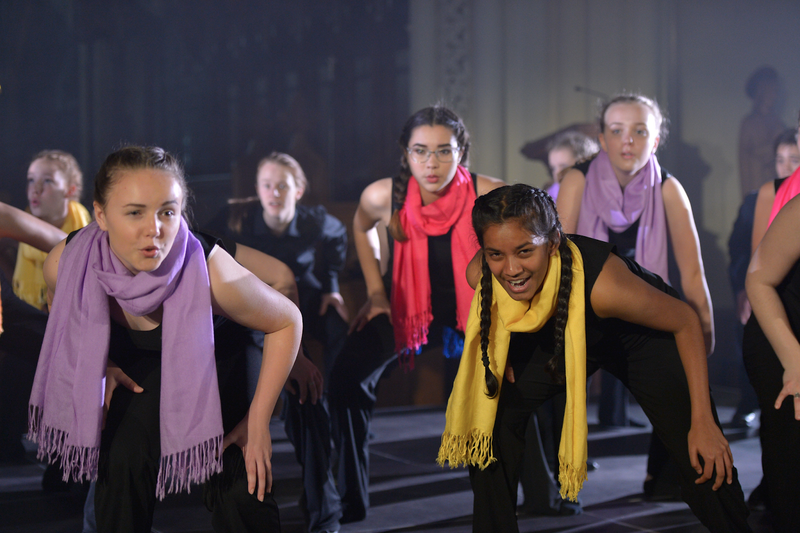 Soon, a summer camp and weekly meetings for a small group of singers found its home at Christ’s Church Cathedral. Mr. Kendrick served as the Artistic Director until 1978 and while doing so, led the choir through two recordings and numerous concerts. After Mr. Kendrick’s departure, John Laing served as Artistic Director from 1978 to 1985. During this time, the Choir first established relationships with the Hamilton Philharmonic Orchestra and Boris Brott to put on the Opera entitled “The Little Sweep” by Benjamin Britten, which would be the first of many collaborations with these esteemed organizations. In 1985, John Laing passed on the torch to David Davis, who served as Artistic Director of the Choir from 1985 to 2002. During this time, the choristers furthered their reputation with performances with the Bach Elgar Choir, the Canadian Male Orpheus Choir, and with Celine Dion at the 1999 Juno Awards. 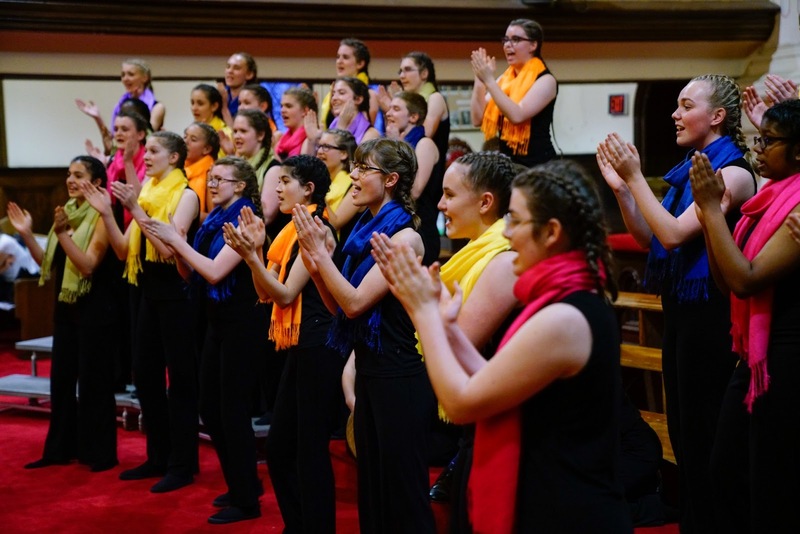 The choir appeared on national television, produced several recordings and performed at the International Choral Kathaumixuu in Powell River, B.C. The choir travelled to France, New York City, Pennsylvania and to the East Coast several times for a total of eight out of province trips. Over the last 15 years, the HCC has been gaining international acclaim and has remained an active part of the thriving local arts community. For more on our international touring, please see our Hall of Fame. Locally, the HCC has enjoyed performing with the Hamilton Philharmonic Orchestra, the Hamilton Philharmonic Youth Orchestra, the Bach Elgar Choir, the Toronto Northern Lights, TorQ, Chorus Niagara, the High Park Choirs and the Canadian Male Orpheus Male Choir. The HCC has also performed at the Choirs & Organ Concert at Roy Thomson Hall, with Celine Dion at the Juno Awards at Hamilton Place, enjoyed special performances at the Haida Celebration, Ontario Sings, and at Hamilton TiCats games. HCC also performed with Metric, a popular Indie Rock Band, on CBC’s The HOUR 2009 Holiday Special with George Stroumboulopoulos. ZP: We believe that every child can sing, and deserves to be part of a warm, open-hearted community of singers. The HCC strives to give young people a strong foundation in vocal technique, music theory, and expressive communication. We seek to create exciting performance opportunities that empower our youth to communicate, grow and learn something about their role in the world around them. We make every effort to incorporate new music and to share authentic colour and deep study of world music. Our goal is for the audience to be so captivated by the expression on stage that they forget that they are hearing children. ZP: I became Artistic Director in 2003 and for the past 15 years we have had a journey full of amazing experiences! Hamilton Children’s Choir has been a guest ensemble at a number of prestigious national and international events: MusicFest Canada (2018), American Choral Directors Association Conference, Minneapolis, USA (2017); America Cantat 8 Festival, Nassau, Bahamas (2016); Pan Am Games Closing Ceremony, Toronto (2015); Recording the 2017 Music Monday anthem for Coalition for Music Education in Canada (2017); Recording R. Murray Schafer's Apocalypsis at Luminato, Toronto (2015); Polyfollia, 6th World Showcase and Marketplace for Choral Singing, Saint-Lô, France; 10th World Symposium on Choral Music, International Federation for Choral Music, Seoul, South Korea; 1st Xinghai International Choir Championships, Guangzhou, China (Grand Prize); “Let the People Sing” Euroradio Choral Competition – staged by the European Broadcasting Union in Oslo, Norway (1st Place, Children’s Category); Loto-Quebec World Choral Singing Competition in Montreal, Quebec (Grand Prize); “Let the Future Sing” 70th Choral Festival, Stockholm, Sweden; CBC National Radio Gala Competition, Montreal, Quebec (Cantabile Grand Prize Award); CBC National Radio Choral Competition for Amateur Choirs (Children’s Category Winner & Best Canadian Performance by Youth); Songbridge Choral Festival, Szczecin, Poland; Tolosa Choral Competition, Tolosa, Spain ( “Audience Choice” Award and 2nd Prize). In terms of Newfoundland, which is a special place in the hearts of HCC - we have visited Festival 500 twice and are honoured to come back to Newfoundland for Podium “On the Edge” in 2018! ZP: One of the primary aims of Hamilton Children’s Choir is to make a difference in the lives of children and youth within the greater Hamilton community by providing them with exceptional choral music instruction and performance opportunities that foster creativity, personal development and social growth. 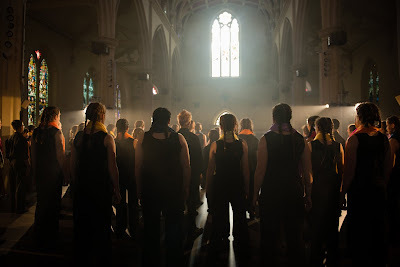 Accessibility for All – “If you can speak, you can sing.” Everyone should have the opportunity to experience the joys and benefits of singing in a choir. Excellence in Choral Music - excellence has no age. The Power of Teamwork – We believe we’re stronger when working together: Choristers as a choir, and our organization as part of a thriving arts community. Compassion & Appreciation for Diversity – Music can help us understand our differences, connect people from all backgrounds, and uncover what it means to be human. Personal Growth – Challenge and learning bring out the best of the joys and benefits of choral singing. Education – Regular rehearsals focus on teaching knowledge and skills in a progressive manner, both within each HCC choir throughout the year, and between our family of choirs over many years, learn about self-discipline, teamwork, leadership skills, musicianship skills, life lessons, being ambassador of your city and country! Performing – Performances give choristers a chance to showcase the products of their efforts, providing value to the community, and instilling a sense of joy in accomplishment and satisfaction in hard work amongst choristers. The joy of performance! Our Illumini singers own their ensemble and make important decision along with me...from concert program , choreography to budgeting of fundraising events for their ensemble. Experiences in choral program give chance to build sense of community, make lifelong friends and teach life lessons. ZP: I am sure that all community children and youth programs have similar challenges- finding REPERTOIRE! It is challenging to find appropriate repertoire of good quality, with accessible tessitura, good text- for all choir levels and especially for pre-teen and teenage boys. We seek repertoire that allows some interpretation, or aleatoric moments, that might allow our transitional voices to use their developing mature sound. We also encourage continuing healthy placement of treble singing as is comfortable and appropriate for boys in HCC. Because it is still an area that we’re making every effort to support and grow, we have also started a pilot ‘boys only’ ensemble to foster young male singing through this transition. ZP: They are innately inspiring, aren’t they!? Young people possess such confidence and bravery - it’s inspiring to be invited to build community with a very special environment, nurture every child, helping every unique child to gain confidence, feel supported by their peers, and also seen as an individual. For this reason, we prioritize a non-competitive environment where the goal is to set up the highest possible expectations because each child is part of the creation, working together toward the collective aim. an effort to teach not only musicianship skills but also leadership and collaboration, and bravery -- sometimes it’s very scary to take a risk! I aim to lead by example - experimenting with repertoire, being open-minded and not worry to show vulnerability - embracing a growth mindset for myself, and for our organization. ZP: It is a delicate balance, this process of supporting young minds and instruments, and also helping to grow individual sound and collective sound. When speaking with other choir programs who are singing repertoire similar to the level of HCC, nationally and internationally, we’ve discovered that these groups often have a full cohort of artistic staff, including vocal coaches, separate theory classes, etc. We try to cover all these educational program within our regular rehearsal time and work on all these important components at once with no extra support...plus incorporate choreography on top of that. It would be incredible to tap into the integrated art-school model and encourage more music to happen within the academic calendar. ZP: Our combined program with three youth choirs - Toronto Children’s Chorus and Indonesian Children’s and Youth Choir Cordana - is called “Ring of Fire.” The programme has music from number of countries which have volcanic activity -- the potential for heat, for drama, for intensity -- existing at all times beneath the calm surface. The three artistic leaders of the project all originated in countries within this ring : Elise Bradley from New Zealand, Cordana from Indonesia, and I from former USSR. You will hear music from New Zealand, Colombia, USA, Canada, Russia, Japan, Philippines and Indonesia - all striving to capture that feeling of innate intensity. 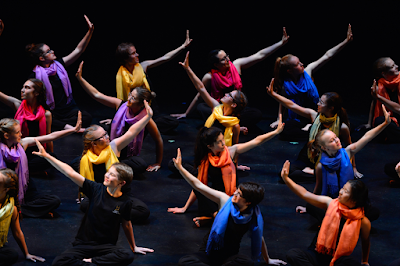 In our solo Hamilton Children’s Choir program we will present an entirely a cappella set capturing the natural connectedness and independence of the elements - sky, wind, water. Highlights include “Wau Bulan,” a Malaysian children’s melody arranged by Tracy Wong that has become a choral internet sensation. We are proud to have introduced this piece to the international choral community at the 2017 ACDA National Conference. 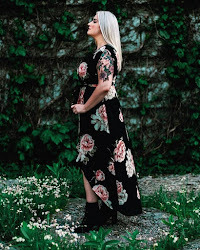 “La Belle Se Promene,” a a plaintive Acadian folk song arranged by HCC alumna Meghan Quinlan, is another piece that highlights the talents of a young female Canadian musician. Both of these pieces are published by Canadian music gem, Cypress Publishing. Another Canadian highlight is Stephen Chatman’s “Train,” which has been arranged for treble voices specifically for HCC. Other programming includes Sergey Rachmaninov’s “Bogoroditze Devo Radujsja,” “Uraren Besotik” (through the Water) by Eve Ugalde. “Tuulet” (Wind) by Suden Vurkkala, and the iconic “Snowforms” by Murray Schafer. ZP: To me, Podium is the defining national event to form and foster connections between Canadian choirs, composers, publishers and choral music supporters! It is a proud showcase and celebration of such a rich variety of Canadian Choirs and an opportunity to hear very fine new Canadian music and also international repertoire. A space to be inspired, to grow, to develop and hear new innovative ideas! I love the openness - learning through workshops, lectures, round tables. I also appreciate the value and space to meet with old and new friends, colleagues, and the feeling of having actively taken part in building a national choral community - these are some of the many very important tasks of Podium. ZP: It is so significant to find and promote new music which represents Canada not only nationally but internationally. When we go abroad with HCC everybody hopes to hear new sophisticated music from Canada. It is natural that at these international forums, all countries proudly present their composers with hopes that people will discover and start performing these pieces worldwide. It is absolutely important to promote Canadian heritage! Hamilton Children’s Choir is very proud that our own HCC alumni have become celebrated composers: Katerina Gimon and Meghan Quinlan! Their works are being published by Cypress and eagerly sought after by the international choral community. HCC has been honoured to give world premieres of Canadian artists at the IFCM Symposium, ACDA National Conference and Polyfollia -World Showcase on Choral Music in France. We have been so grateful to learn directly from such incredible writers and artists - Stephen Hatfield, Sarah Quartel, Tracy Wong , Sheldon Rose. I also aim to continue to promote celebrated Canadian artists into new international communities as a guest conductor - fine choirs in Japan who now love Nancy Telfer music, the Children’s Choir in residence of France Philharmonic Orchestra singing Donald Patriquin, Eleanor Daley, Matthew Emery. I believe I have performed Lydia Adams’ “Mi’kmaq Honour Song” in all 5 continents! One of Illumini’s favourite pieces right now is “Magnificat” by Christine Donkin. ZP: Preparation of the piece I am going to introduce to the choir is very important task for me. Marking score (solfege, language, dynamics, vowels/consonants-IPA). Deep study of the work will include score analysis, contacting composer, if it is foreign language- finding person who will come to the rehearsal or record MP3s from abroad and send us, history ( culture, movement, bio of composer) find out why composer wrote this piece, what inspired composer to write the piece. Colour of the sound according style. Singers will be also participate to score analysis, harmony, score analysis), watching video links connected to history, culture. We want to do deep, honest work when uncovering an interpretation that may come from or belong to a culture that is not our own. ZP: I spend a lot of time on repertoire research….programming is so important. I am very interested in bringing something different, no matter the style of program - from ancient through baroque and romantic music to contemporary, world, avant-garde music. A Capella music is my big interest. We are exploring sound colour, authentic sound, overtone singing, kulning singing, choral theatre programs. We work a lot also with staging, acoustic of the hall. Repertoire always connected to conductor’s vision. ZP: I was born Russia and was founder of the first choir school in Kazakhstan ( in Soviet Union time it was one of the ‘province’ of Russia) I was a child who didn’t go through audition process for music school successfully from the first time.. that’s why I really try to give chance to every child. Every child deserve this experience! In music school we had about 12- 14 hours a week of music from piano lessons to theory, music literature. We were all in love with our children’s choir conductor - she inspired all of us. and at age 10-11? I knew that one day I want to be her (Valeria Pavlovna Beresina). I want to be a conductor. At very young age, still being student at Conservatory I became a founder of the 1st Choir School in Kazakhstan (USSR) Koktem ( the name of the school came after Vesna Children's from Moscow- as we duplicate system of this famous choir school. Koktem means spring in Kazakh language and vesna - means spring in Russian) Choir school with 35 music teachers - full time, and 450 students and Choir school still exist in Kazakhstan. the school was working very closely with State Conservatory and act as well as lab program. Choir school was involved in number of searches.I was leading this internationally touring program for 17 years. To become a music teacher /conductor in USSR system: 8 years Choirs School, following by 4 years Music College , Choral Department, following by Conservatory - 5 years, Choral Department- all mandatory programs. This is necessary requirements. Only following this requirements you can attend for Doctorate degree... I spent time in researches, studies, in Germany, Moscow, St. Petersburg. ZP: Grow professionally, building our program, every year it is new start in community children's choirs and every year it is new challenges. ZP: it is incredible opportunity to hear so many different choirs including National Youth Choir and international guest choirs! Attend many workshops, find new repertoire, visit workshops of Canadian Publishers ( Cypress), meet new colleagues, built exchange tours with other choirs. ZP: Thank you so much to everyone who makes Podium happen! Zimfira Poloz in her 15th season as Artistic Director of the 200-member Hamilton Children’s Choir. Conductor, educator and adjudicator with a distinguished international reputation. She has been decorated with numerous awards in her long career, including the Honoured Representative of Education of the Republic of Kazakhstan Award, the city of Hamilton’s V.I.P. Award, and the Leslie Bell Prize Award for Choral Conducting from the Ontario Art Council . She is invited regularly to serve as clinician for festivals, lead workshops for educators, and jury International Choir Competitions. 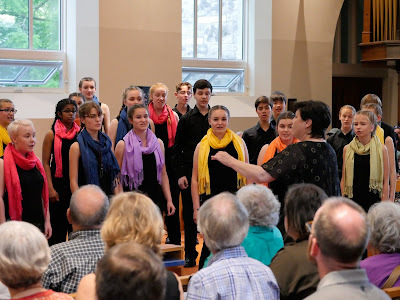 Zimfira’s boundless energy and her passion for choral music found an outlet, first as a member of the Toronto Children’s Chorus Artistic Staff and later as vocal coach at St. Michael’s Choir School. 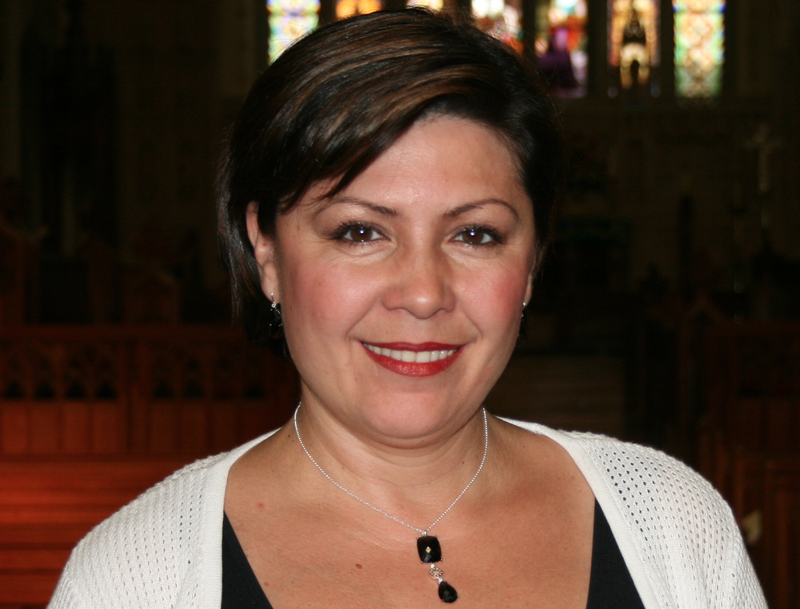 She was leading Young Voices Toronto (former High Park Choirs) for 15 years. Zimfira is the Artistic Director the Hamilton Children’s Choir and teaches at University of Toronto - vocal pedagogy for choirs. She is honoured to be invited at prestigious national and international festivals/competitions with Hamilton Children’s Choir. She led the Ilumini Choir to 9 international tours & competitions - Tolosa Choral Competition, Tolosa, Spain (2006); Songbridge Choral Festival, Szczecin, Poland (2008); “Let the Future Sing” 70th Choral Festival, Stockholm, Sweden (2009); “Let the People Sing” Euroradio Choral Competition,Oslo, Norway, (2009); 1st Xinghai International Choir Championships, Guangzhou, China (2012); 10th World Symposium on Choral Music, International Federation for Choral Music, Seoul, South Korea (2014); Polyfollia, 6th World Showcase and Marketplace for Choral Singing, Saint-Lô, France (2014); America Cantat 8 Festival, Nassau, Bahamas (August 2016); American Choral Directors Association Conference, Minneapolis, USA (March 2017) and four national tours: St. John’s (2005); Montreal (2008), St. John’s (2011); Ottawa (2012). She has also commissioned Canadian composers to write new works to be premiered by the Hamilton Children’s Choir and has prepared the Ilumini Choir to perform as guests of Burlington New Millennium Orchestra, National Academy Orchestra of Canada, Hamilton Philharmonic Orchestra, Brantford Symphony Orchestra, Hamilton Opera (La Boheme, Carmen, Tosca, Magic Flute), Chorus Niagara and Niagara Symphony Orchestra, Bach-Elgar Choir, Canadian Orpheus Male Choir, John Laing Singers, Hamilton Philharmonic Youth Orchestra, Stoney Creek Alliance School of Music, Northern Lights of Toronto Barbershop Choir, TorQ, Hamilton Opera, Arcady, Toronto Symphony, Free Noon Hour Choir & Organ Concerts at Roy Thomson Hall. Special Events: Pan Am Games Closing Ceremony, Boris Brott Music Education Concert Series, Photophobia: Contemporary Moving Image Festival-An experimental performance by Erin Gee created new biosensor-driven work specifically for the HCC at McMaster University’s LIVElab with support from the CCA Broadcast: performed with Metric-CBC's The HOUR Holiday Special; The Care Bears- Big Wish Movie-soundtracks, CBC Radio Choral Competition, Let the People Sing – European Union Broadcast Choral Competition, Luminato Festival- Apocalypsis by Murray Schafer (CBC broadcast, CD release, nominated for Juno) “the biggest musical or theatrical show ever staged in Canada”, PanAm Games Closing Ceremony (CBC broadcast). Zimfira Poloz receives many invitations to work with choirs, guest conductor and present at conferences around the world: Cyprus, France, USA, Russia, South Africa, Switzerland, Greece, UK, Latvia, China, Malta, Israel, Japan, Estonia, Poland, Spain, Venezuela, Mexico, Germany, Holland, Sweden, Poland, Denmark, Austria, Norway, Italy, South Korea, Netherlands. Zimfira has number of publications in international choral magazines and invited in numerous researches from different countries. Thank you so much, Zimfira! The Hamilton Children’s Choir performs on Monday, July 2nd 5:30-6:30 at the Cochrane Street United Church as a Spotlight Choir for #Podium2018 as well as July 3rd, 4:00-5:00 in the Highlight concert "Children's Choir Project" along with Toronto Children’s Chorus and Cordana Youth Choir! Pay per click advertising activities will help your company develop if done correctly. You’ll have considerably more visitors ultimately causing a greater conversion price and you never have to raise a finger! Let us handle your pay per click advertising promotion when you chill out and see how it’ll benefit your company https://www.burlingtonseo.org/!